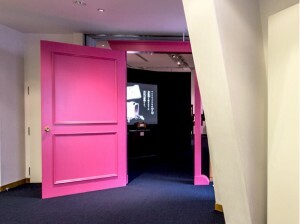 A model of the Dokodemo-Door serves as the entrance to the exhibition area. Pass through this door and find yourself immersed in a world of works by Fujiko・F・Fujio that can only be seen at this location. A handmade slide projector created by Fujiko・F・Fujio has been re-created to show a program entitled "Memories of Takaoka, My Hometown," which features photographs of Fujiko・F・Fujio from his childhood and youth as well as footage of Takaoka from around the beginning of the Showa era presented with narration provided by Fujiko・F・Fujio. 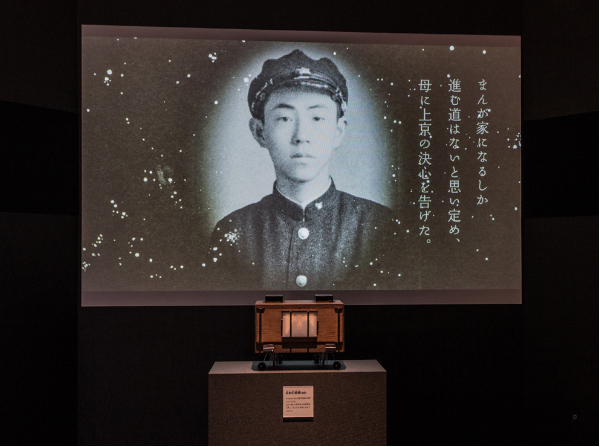 With nothing else giving him quite as much pleasure during his youth as drawing manga art, Fujiko・F・Fujio engaged in a variety of creative endeavors in his hometown of Takaoka. Visitors can peruse every page of text for Yōkai-tou, a book that Fujiko・F・Fujio put together by himself when he was fourteen years old. 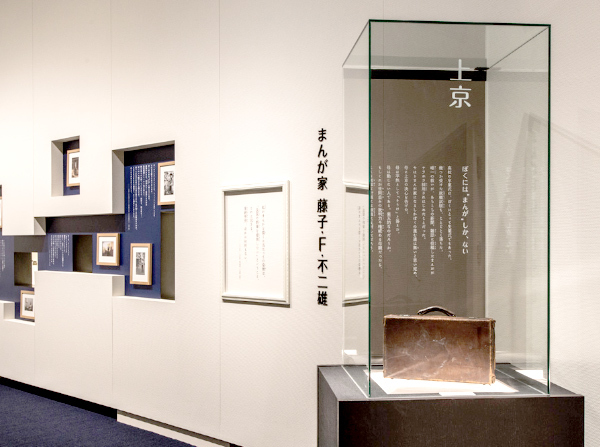 Fujiko・F・Fujio's bag is shown to give a sense of his resolve when he decided to move to Tokyo with big dreams of becoming a manga artist. Fujiko・F・Fujio's approach to his ongoing work, which consisted of creating manga art out of a desire to provide high-caliber entertainment, is conveyed through beloved tools that were actually used once upon a time. 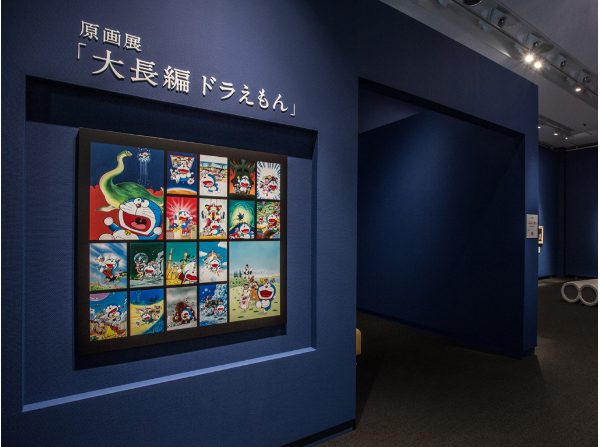 Works that evoke scenes of Takaoka that were experienced by Fujiko・F・Fujio in his youth and that can be recognized in stories of Doraemon are presented. 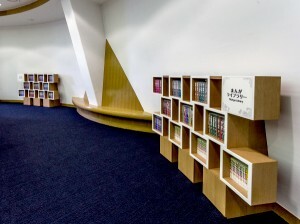 Visitors are also encouraged to check out a section where original pictures and published works can be compared. 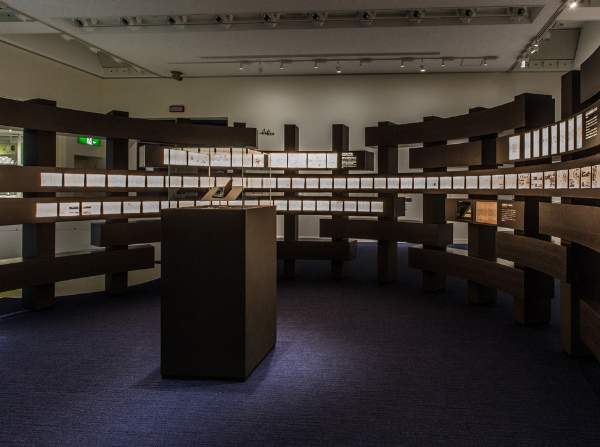 Limited-time special exhibitions are held in this section of our gallery. Original short films are specially screened. 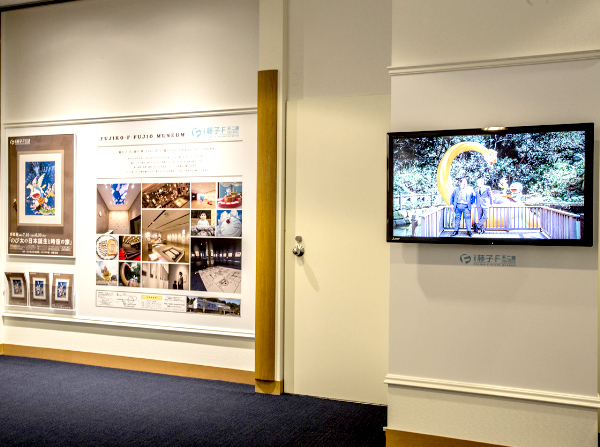 This section of our gallery introduces visitors to the Fujiko・F・Fujio Museum in Kawasaki City. 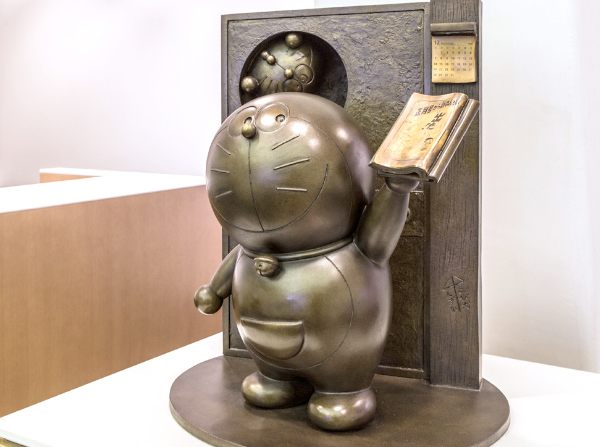 This statue of Doraemon was made as an example of Takaoka copperware, a product of the traditional local industry in Takaoka. 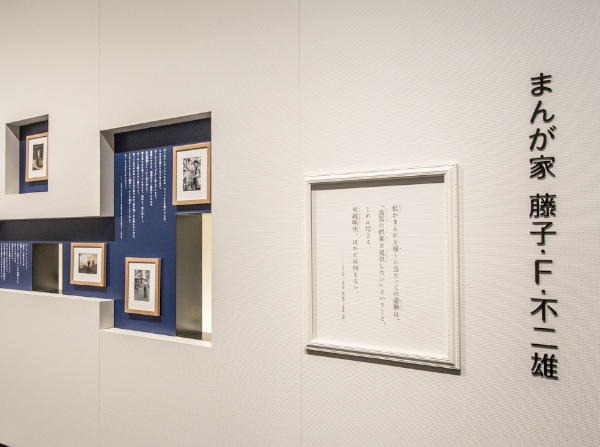 Space is provided to allow visitors to freely peruse works produced by Fujiko・F・Fujio. Born on December 1st, in Takaoka-city, Toyama Prefecture. 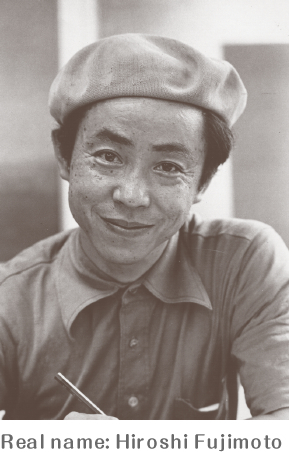 Became friends with Motoo Abiko, who was transferred to Fujimoto’s elementary school. 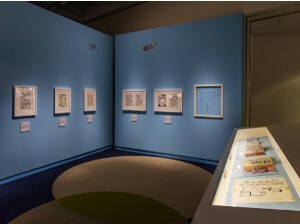 Both were inspired by Osamu Tezuka and started to submit their work to periodicals. “Tenshi no Tama-chan” was their publishing debut on “Mainichi Shogakusei Shinbun”. The manga writing duo adopt “Fujiko Fujio” as their nom de plume. 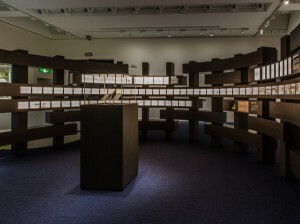 Having committed themselves to earnestly becoming manga artists, Hiroshi Fujimoto and Motoo Abiko move to Tokyo and take up residence in the famous Tokiwa-sō apartment building. 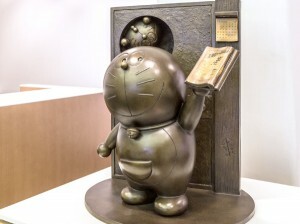 Received the Shōgakukan Manga Award for Susume Roboketto and Tebukuro Tecchan. Obake no Q-taro is serialized and becomes a huge hit. 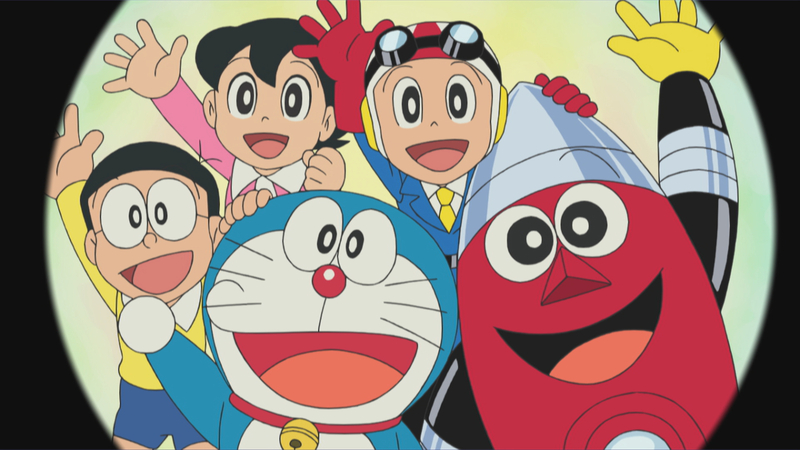 Subsequently, such masterpieces as Perman and Doraemon are brought forth one after another to herald a new era for children’s manga works. The partnership of Fujiko Fujio is disbanded. Hiroshi Fujimoto continues to engage in creative activities with a focus on Daichōhen Doraemon (Doraemon Long Story/Adventure) under the nom de plume of “Fujiko・F・Fujio”. Passed away on September 23 at sixty-two years of age.